christianity | I am JuJu! 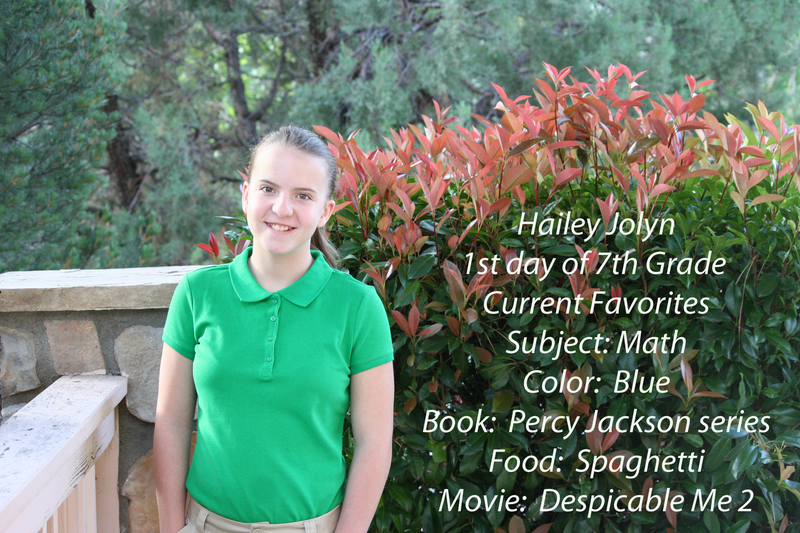 Today is Hailey’s first day of the 7th grade. After a lot of prayer and discussion, we decided to place Hailey in a private Christian school this year. We truly feel that it is going to be a great fit for her. We started praying about our school options for Hailey’s 7th grade year in January. We discussed homeschooling her another year, private schools, and placing her in our local public school. Hailey was 1 of 30 students in her 5th grade class and she struggled tremendously with focus and staying on task, and that was with only having 1 teacher who was very aware of Hailey’s strengths and weaknesses. So, it only took us about 2 minutes to eliminate the public middle school here due to the large class sizes. I could go on and on about this subject, but I won’t. I know that this is an exciting new chapter for Hailey. This morning when we dropped her off, I did so with both excitement and a bit of sadness. The sadness is for me. I will miss having her here at home with me every day. I will miss hearing her whistle and hum throughout the day. I will miss those days when she decided to speak in a British accent because we were studying the Revolutionary War. But I am also excited! I am excited to see how Hailey grows this year. I am excited that she will attend a daily Bible class. I am excited that her classes will start with prayer and that her teachers desire for her not only to grow in her knowledge of math, science, history, and language arts, but also to grow in her faith and her knowledge of Jesus Christ. For that, I am excited and tremendously grateful! All of these songs are not only on my iPhone playlist, but I burned them onto a CD as well for our car. Some of the songs we are currently singing during worship at our church, some are songs I sang at our previous church in New Mexico, and some are songs that people who know my love of good worship music shared with me. I tend to make a new CD every couple of weeks. I always ask the girls what songs they would like carried over & if there are any new songs they’d like to add. Hailey loves to share new songs with us that she has learned at youth group, which I love! We primarily listen to Christian music. Why? Well, the simple answer is I believe that what we put into our minds is what we get out. I prefer to listen to music that is uplifting, positive, & sets my mind & spirit where it needs to be. I strive to be a fully devoted follower of Christ. I don’t want to go to church on Sundays and then be bombarded by worldy garbage the other 6 days of the week. I’m not judging if that is the type of music you listen to, as that is obviously not my place. I just wanted to share why we have decided to remove music that we once listened to & to primarily listen to Christian music. If the song is not a song that I want my children to hear, I don’t need to be listening to it either. We are called to pour into the lives of our children, to teach them truth. I want to show my children how to live, not just tell them. Personally, for me, it comes down to: Is what I am doing bringing me closer to God or pushing me further from Him? There are two scriptures that remind me what it is I need to focus on & that I am not of this world. Please know that I am not trying to stir up debate on whether or not we, as Christians, should or should not listen to secular music. Each and every one of you is entitled to your own opinion on this matter. This is a personal decision that I came to after seeking God’s will for me on this matter. 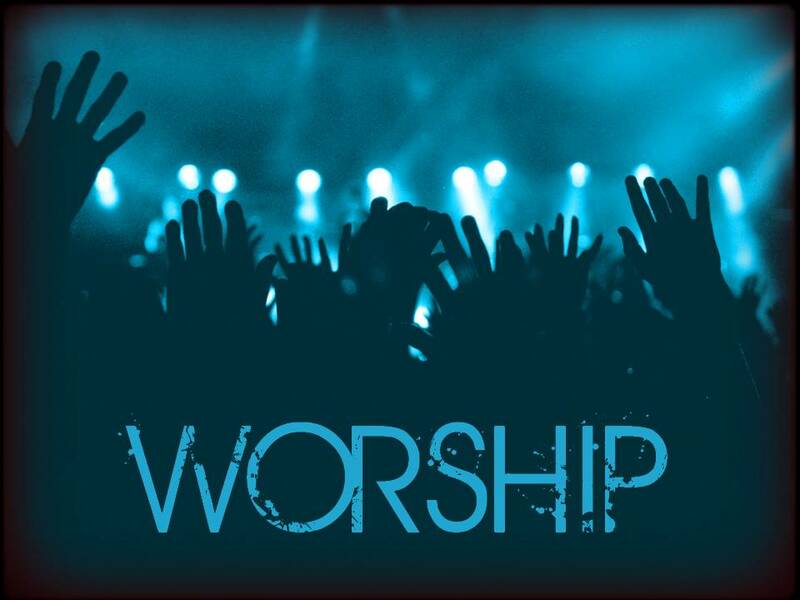 I’d love to hear any of your favorite worship songs! Some days Skylar really struggles with going to church. Yesterday, as I sat in worship, I got to thinking about why it is often difficult to take an individual with special needs to church. It is difficult to explain the fears that many parents of special needs children have in taking their children into a worship service. I hear from many families that they gave up going to church a long time ago! Why is that? Well, let me share with you my own thoughts on this matter. Let me start off by saying that I am not speaking for all families that have a child with special needs, just MY family! So here we go! This is a biggie! I can’t even begin to tell you about the stares that we get. You would think that it would be better in church, but nope..it isn’t! This seriously saddens me! I understand people’s curiosity, but for the love of all that’s holy, quit staring! This wasn’t as much of an issue with us when Skylar was younger, but as she has grown into her teenage body, it has become more of an issue. When you have a younger child in service who is a bit restless people don’t even think twice about it, but when you have a child who is taller than her mom and the age of a young high schooler, people are staring when she is hugging me tightly, holding my hand, rubbing her face against mine for that deep pressure input, or moving “a bit more than she should” during worship. You know what? If you can’t move during worship, when can you move? One thing I won’t ever do is tell Skylar that she can’t dance during worship or tell her that she is singing too loud! 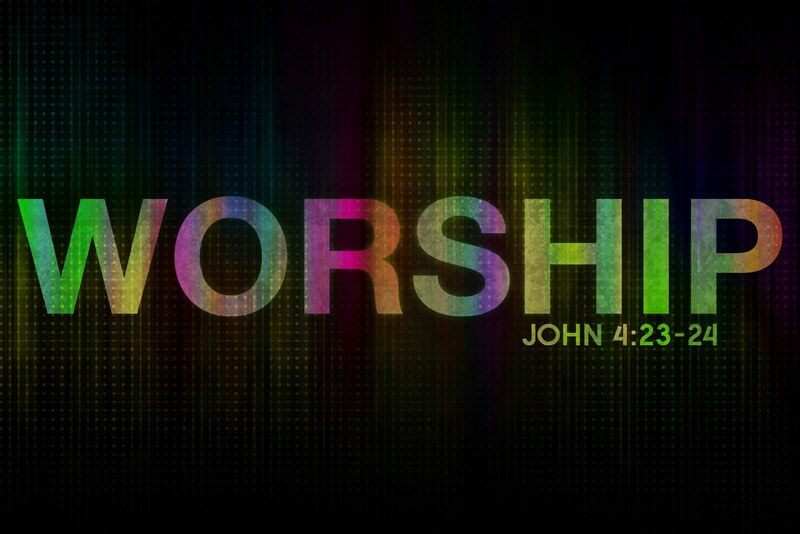 That is how she worships and I will never try to change that! We do make Skylar stand and join us during the worship segment of church. Some days she adamantly says “I am NOT singing with you today!” but we still ask her to stand and read the words on the screen. When it comes time for the message, we allow Skylar to use her i-pad (with the volume completely silenced). Some of you might think that is wrong and that is ok, but until you’ve walked a mile (or a quarter of a mile for that matter) in my shoes, then please keep your judgements and opinions to yourself! This keeps Skylar happy and entertained so that Chris and I can listen to the sermon and be encouraged by God’s word! My guess is that most people see Skylar on her i-pad, think that she is some teen that is bored, make a snap judgement about our parenting abilities, and then give us dirty looks, roll their eyes, or make comments loud enough for us to hear them. Guess what? When this happens, most people would be so hurt and angry that they wouldn’t darken the doorstep of your church ever again! But oh no…not me! I have been known to turn around and say “Just so you know, my child has autism!” which in turn usually leads to a horrified expression and something along the lines of “I’m so sorry! I had no idea!”. My point is not to shame people, even though that is often what they are trying to do to me, instead it is to educate people. I hope that you will think twice before making snap judgements. Church should be a safe place for people, instead many people feel more judged at church than any other place they go. When we meet other families with children who have autism and they find out we go to church, one of the first questions they ask is “Does your church have a special needs program?” None of the churches that we have attended here in Prescott have had such a program. This is something that we, as a church, need to step up and do something about. This would be such an amazing ministry and blessing to families in our community! -Churches need a buddy system! We need individuals who will step up and hang out 1 on 1 with our kiddos during service. Most of the time, most churches only have childcare/Sunday School for children through 5th grade. Even though Skylar is in 8th grade, she wants to be with children that age. Why not let her attend those classes? If she had a buddy, whether it be an adult or an older member of the youth group, she could enjoy their lesson and be happy in that classroom. The buddy doesn’t have to be the same individual! Imagine if 4 people stepped up and said “I’ll take one week a month and hang out with Skylar!” That would be awesome and I can guarantee you that not only would they be a blessing to us, but Skylar would be a blessing to them. What a great thing to be teaching our youth! -Churches need to come alongside families that have individuals with special needs and get to know them! Many of us have learned more about patience, love, forgiveness, mercy, and grace than we could have ever imagined by parenting a child with special needs. I, for one, know that my faith has grown by leaps and bounds this past 11 years. So there you have it! These are the reasons that we often find it tough to take Skylar to church. I pray that you will be open to getting to know individuals with special needs at your church! I am confident that they will bless you far beyond anything you ever imagined. Their joy is contagious! This past Sunday was just like most Sundays! Skylar woke up in one of “those” moods. She immediately started saying she didn’t want to go to church. Unfortunately, it set my mood for the morning and I was just dreading going into service. As I stood during the first worship song, Skylar LOUDLY whispered “I’m NOT singing with you today mom!” I tried to clear my mind of the stress and sadness and I immediately prayed that the Lord would comfort me. I also asked Him to bless sweet Skylar through the music. I remember questioning whether or not I was doing the right thing by continually forcing her to come to church and wondering if she gets anything out of it. The third song we sang was a mix of an older worship song and the chorus to Hallelujah (Skylar calls it the Shrek song as it was sung in the first Shrek movie). As I closed my eyes to focus on the chorus, I suddenly heard Skylar’s sweet soprano voice carry over most of the voices around us. My heart was overwhelmed with joy at the sound of her praising God! As a tear rolled down my cheek, I thanked God for such an immediate answer to prayer, for comforting me, and for Skylar, who is such an amazing blessing to our family! I truly believe that the Lord gave me a glimpse of what hearing the angels singing will be like! Whatever you do today, make it great!